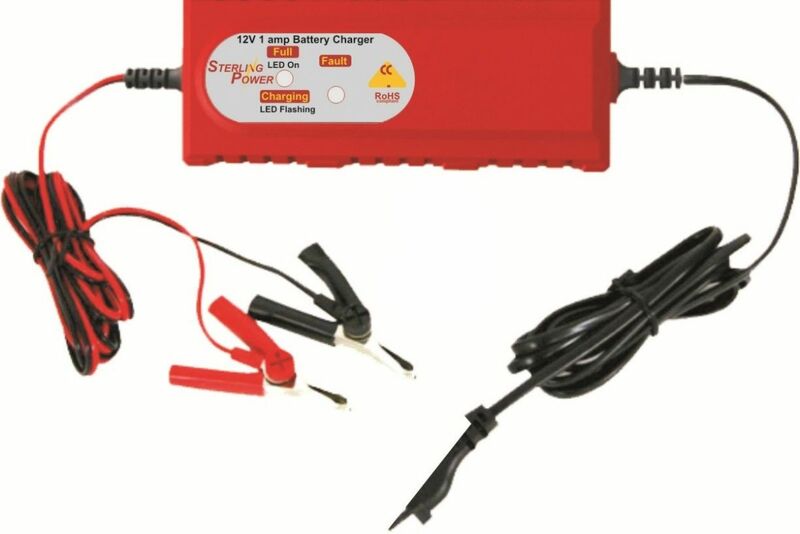 Just the job, this charger is perfect for motorcycle battery charging, It's a trickle charge unit so bike battery can be charged over about 5 hours plus it can be left hooked up and won't overheat. I Like this charger, it's small and portable, just connect to mains and battery and leave until LED lights up for charged. Perfect for small batteries with low amp output. Ideal trickle charger, recommended by yourselves and perfect for my requirements, off board charging a mobility scooter. 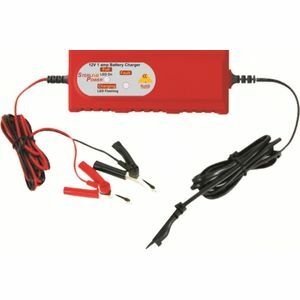 This 1 amp charger provides a constant 13.9V charge and features an LED display indicating charge status. The charger protects against overheating and short circuiting as well as over voltage. It is also practical thanks to it's compact design - 135x50x40(mm).